← Come Workout With Me!!! My family begs me to make this awesome gravy once a week in the cooler months. Of course, I make it because it’s super simple and tastes absolutely divine..
Sauté onion until light brown (about 10 minutes) Add mushrooms + 1 tbsp. water, cook for another 3 minutes. Add garlic, and cook, stirring for 1 more minute.Add the veggie broth, herbs, nutritional yeast, + tamari in a bowl – whisk in the almond milk + arrowroot powder until smooth. Add veggie broth mix to onion & mushrooms and stir well. So try it out! Let me know what you think. I will be posting a recipe tomorrow for a Love Loaf that pairs perfectly with this gravy! 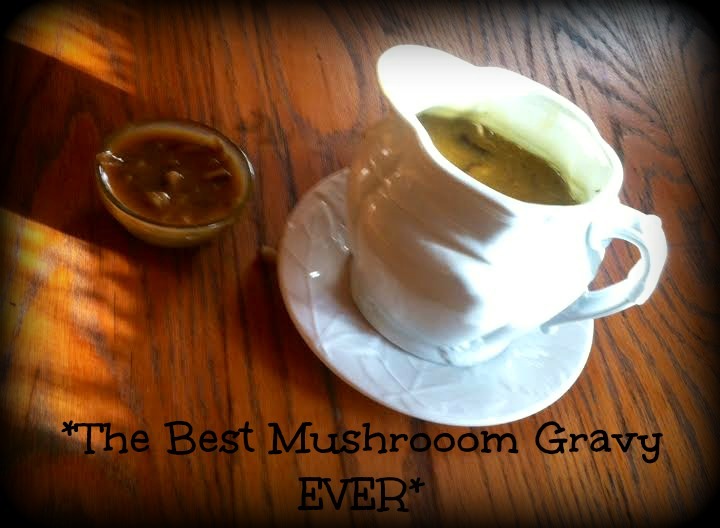 Posted on January 14, 2015 by Wholistic Balance	• This entry was posted in delicious, recipe, Vegan and tagged Best Mushroom Gravy EVER, Gravy, Gravy Recipe, healthy, holistic, Holistic Health Coach, NomeatAth, PlantBased, recipe, Shiitake Mushroom, Shiitake Recipe, vegan, Vegan Healthy Recipe, Vegan kid, Vegan Thanksgiving, VeganGravy Recipe, vegetarian, yummy, \. Bookmark the permalink.